King Khan of Bollywood couldn't hold back his enthusiasm over the re-introduction of Jawa brand and commented on Anand Mahindra's tweet. The chairman of Mahindra Group also has an epic reply. Jawa is one of the very rare foreign motorcycle brands that has a cult following in India. 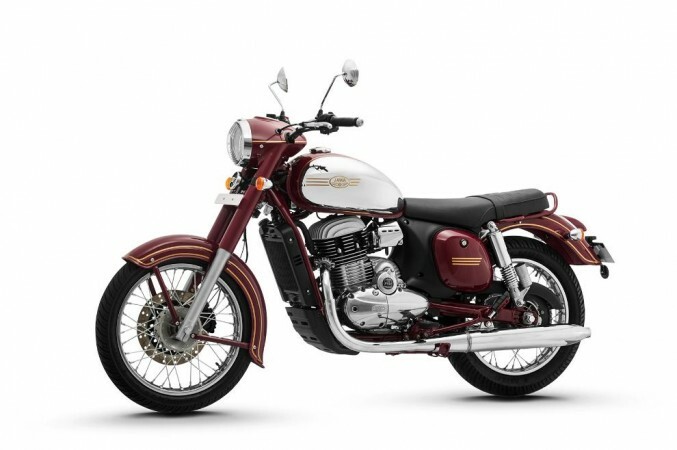 The Czechoslovakian motorcycle brand entered in the 1950s and the Maroon coloured bikes were the two-wheeled dreams of kids born between 1960s and 80s. Classic Legends, a new entity formed by Mahindra & Mahindra has brought back the Iconic Jawa brand to India on Thursday. In its return, Jawa Motorcycles launched three bikes celebrating the classic design pedigree. Needless to say, the aficionados are happy and one among them is none other than King Khan. The Badshah of Bollywood, Shah Rukh Khan cherishes fond memories with the erstwhile Yezdi Jawa bikes. He was seen riding Yezdi Jawa bikes in almost all the movies released in the 1990s. King Khan couldn't hold back his enthusiasm over the re-introduction of Jawa brand and retweeted Anand Mahindra's tweet, "Oh nice. Grew up on this!." The Chairman of Mahindra Group, who is active on Twitter was quick to respond and tweeted, "You're eternally young...@iamsrk. 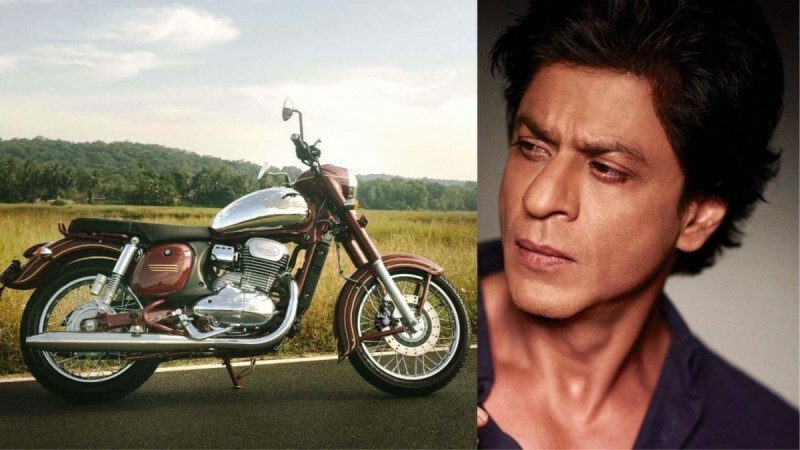 So get back in the saddle..."
While we are not sure whether Shah Rukh Khan has plans to buy any one of the new Jawa bikes, the conversation between King Khan and Mahindra tells that there is a huge chunk of fans in India who are eagerly waiting for Jawa's return. In its return, Jawa has launched three motorcycles- Jawa, Forty Two and Perak. 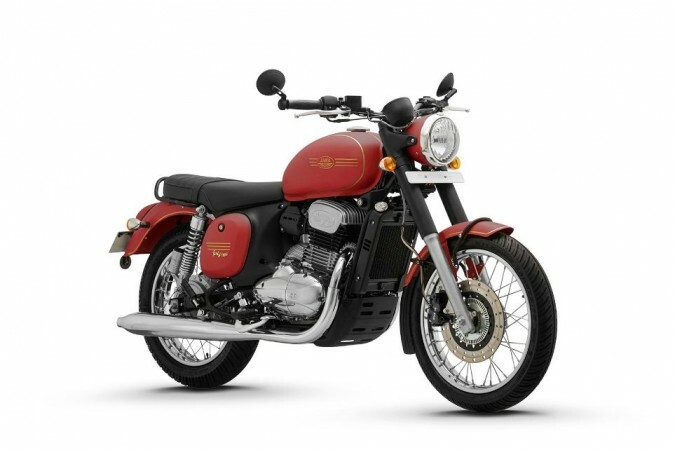 The classic styled Jawa has been priced at Rs 1.64 lakh while the neo-retro model Forty Two costs Rs 1.55 lakh. The bobber-styled futuristic Jawa Perak has been priced at Rs 1.89 lakh (all prices ex-showroom Delhi). The Perak will not be offered immediately. Both the Jawa and Forty Two are powered by a 293 cc single-cylinder, liquid-cooled engine capable to produce 27bhp and 28Nm of peak torque mated to a six-speed gearbox. The Jawa Perak is also powered by the same engine, but has a bigger bore, displacing 332cc and it develops 30bhp and 31Nm of peak torque. Classic Legends claims the engine is BS-VI ready. Classic Legends will set up 105 dealerships across the country in December and the deliveries will begin early next year.